When do you work best and feel at your peak? Modern day work is cognitive and emotionally based, not physical, writes Peter Connolly. Peter Connolly looks at how understanding our own body clocks better can help us work to the best of our abilities. Chronobiology is a branch of biology that examines periodic phenomena in the body and how we adapt to solar and lunar related rhythms. Essentially, it's a study of our internal clock and the daily physiological changes that affect our energy and performance as well as when we best exercise, sleep and work. In chronobiology, an ultradian rhythm is a recurrent period repeated throughout a 24-hour day. These highlight a need to stop and recover, much like a sprinter, and not approach the day like a continuous marathon. With this in mind, it seems that some of our ideas around work remain stuck in the industrial age. We are not machines nor do we all work the same. Instead, we are varied and pulse. I spoke with Camilla Kring, founder of Supernavigators, who works with companies to transform their work cultures. Across 12 countries, many of the organisations she works with score highest in polls for the best places to work. Camilla believes that "we have to move away from this industrial model way of working". "In today’s society, we have so many ways of living, different family forms, different work forms, local and global work. 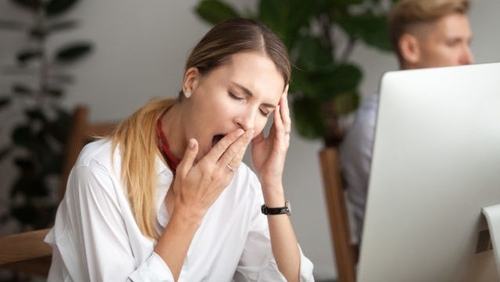 We also have different biological rhythms, it's genetic, and the more you are working in sync with your biological clock, the more it will improve your health, energy, and productivity," she explains. Take a team of ten people and, on average, four will be much sharper in the morning "early risers", type A), three will peak later in the day ("late risers", type B) and the final three are in between. Yet the working culture of start times and habitual tasks often remain the same for all. Camila often asks managers about their flexible working patterns, and they claim that they are flexible. However, "if you asked them if [type] B persons are starting at 7am, they are often completely silent", she says. "I see the difference between flexible structure and flexible culture. A flexible culture is where people dare to use the flexibility within a company". Creating flexible work cultures takes education, support, and acceptance of your employers. The win-win needs to be measurable. Camilla’s Life Navigation program involves five three-hour sessions, where mindsets, new ways of working, and working culture are explored and tested. Step one involves awareness of your clock. "There are 168 hours in a week", Camilla explains. As part of her 'time registration', she digs deep looking at how much time a client sleeps, works, spends with their children, with their partner and how much they allocate to self-care. Finally, she explores, how the client found the time registration process and if there was anything they would change. Camilla explains that awareness of the process flows into the next step, step two, which "looks at where your focus is in life". "Often, we are making a lot of unconscious decisions and habits". During busy times, our patterns are automatic and we lack time for reflection which may not serve us well. We neglect core needs and important goals. Camilla explains that research shows how "just by writing things down [what] you want to achieve, it increases clarity and the chances of it happening, and you will achieve more in your personal life". Try writing just three goals down in different areas of your life, starting at the end and working your way back, writing the complete steps to get there, and then take small steps to get there. Step three, Camilla explains, is to "look at your rhythm: are you a type A or B, when do you peak mentally and how do you use that time? If you are an early riser do the most complex things in the morning and the B person the most complex task in the afternoon or evening". So, when you are at your peak, this is your most creative time - use it wisely. Step four involves some creativity. Camilla invites us to "take photos of all the spaces in our lives that give us a sense of calm or inspiration". This explores choosing the right location for the right activity and creating spaces of inspiration and calm in our lives. Deep, focused work needs a quiet space and to be free of interruptions. This can be controlled in different ways: companies like AbbVie place toy frogs on their desks to communicate they are doing focused work and do not disturb for a time period. Resilience has as much to do with energy management and a supportive environment as individual toughness. If companies or individuals are interested in creating cultures of high performance that are inclusive and research based, then it needs to consider genetic factors such as chronobiology and neurodiversity. This wasn’t so relevant to the work of the past, but it is nowadays. Modern day work is cognitive and emotionally based, not physical. Fortunately, once we have acceptance, the solutions are often very practical with low costs and high rewards for all. To find out more about Camilla Kring www.supernavigators.com. To get in touch with Peter Connolly www.lifestyleawareness.ie.